An iPhone is a primary object for our everyday life; all our work, our data is kept in our iPhone. We always try to keep our iPhone secure and well-protected. As iPhone has always been the best in the Smartphone history, it is the most effective and trustworthy mobile device ever since it has been established. Be it the power, or be it the feature, the iPhone has all of it. Although the iOS is the most secure and cool OS for any iPhone ever, with the iOS 12 update a few of iPhones have been facing some serious issues like the Black Screen of Death, due to which the users face serious problem and their iPhone becomes inaccessible. To help such users, we have found some solutions to fix iPhone black screen problem. 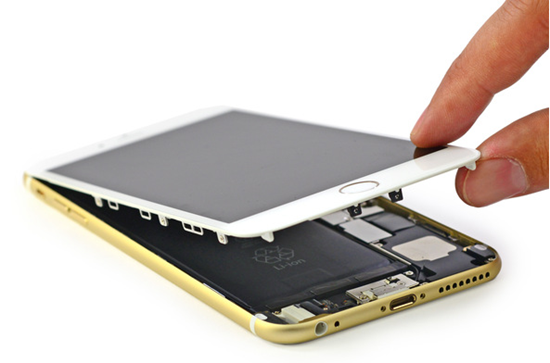 Tips: Before you find the useful way to fix the iPhone black screen problem, you can always use Jihosoft iPhone Data Recovery to save the important data like messages or contacts from iPhone first. The “Black Screen of Death” itself is a frightening term, and so is its effect. Basically, the “Black Screen of Death” suggests a situation when your iPhone stops working and you just get a black screen on your iPhone for any reason possible. The Black Screen of Death makes an iPhone a dead object and accessing it becomes much more difficult; meanwhile, all the important data on your iPhone also becomes intangible. And if this happens to your iPhone then things become much more complex: sometimes your iPhone just gets stuck on black screen after the iOS firmware update; or suddenly when someone calls, you can hear the phone ring but the screen remains black and you can’t answer the phone. This problem has been issued by many people who are trying to upgrade their old iOS to the brand new iOS 12. Most of them own the iPhone 5S, iPhone 6, iPhone 7 or even the iPhone X. The official version of iOS 12 has lot of improvements over the past, but also accompanies some serious bugs that sometimes leads to the “Black Screen of Death”. We will discuss the causes of such issues and also suggest you ways by which you can fix the iPhone black screen issue. Any forms of hardware damage: It is possible that improper screen replacement or bad screen cause this issue; Or, if you just mistakenly dropped the iPhone severely or dropped it into a pool of water, then you may face this issue as well. Though iPhone is IP67 certified since iPhone 7, a small hardware issue may lead to the black screen problem. Software issue: The issue may also happen when upgrading your iOS or during any firmware upgrade. It happens mostly because of improper modification to the software that creates a clash with the hardware. All these causes are quite normal to see, though it’s better not happen to anyon. But, if any of the above cause turns your iPhone into a dead piece of electronic good, you may fall into a major problem. When your iPhone faces the “Black Screen of Death”, the first thing you need to do is to perform a hard reset. 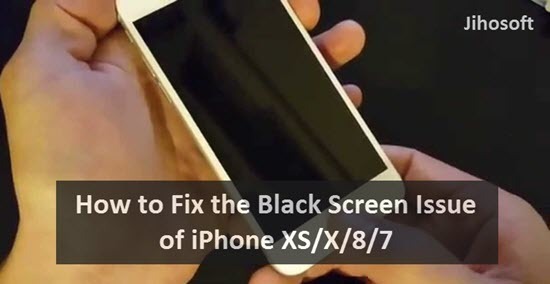 The following steps generally fixes the iPhone black screen issue for most of people. Step 1. Find the location of the Home button and the Sleep/Wake buttons on your iPhone. Step 2. 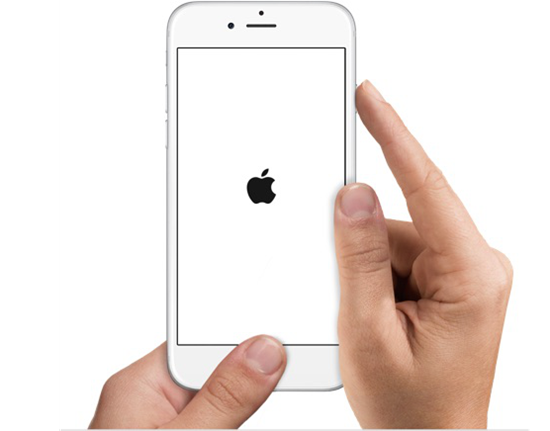 Long press the Home button and Sleep/Wake button at the same time until the Apple logo appears on screen. Step 3. After Step 2, release the buttons and your iPhone will restart. If you are using iPhone 7, you need to hold Volume Down button instead of Home button. 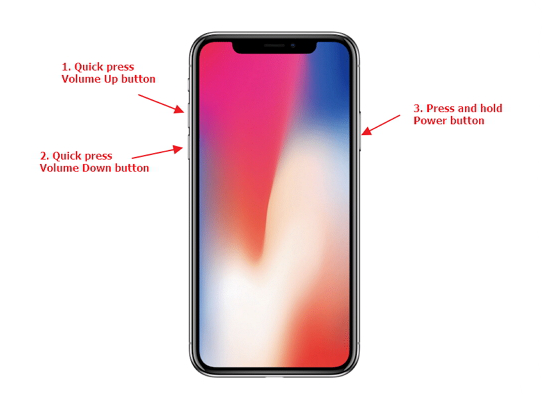 If you are using iPhone 8 or iPhone X and later, quick press Volume Up button and then Volume Down button; then, press the Sleep/Wake button until you see Apple logo. If the hard reset method fails, there’s another method known as the “fixing Black Screen via iTunes” for you to try out. Another method to fix iPhone’s nasty black screen issue is by using iTunes. This way is a bit more complex but if you follow the steps correctly, then surely your problem will be fixed. Make sure you have installed the latest version of iTunes on your computer. Next, connect your iPhone to your computer or laptop via a USB cable. If iTunes detects your iPhone, and offers a restore option to you, you can just click the Restore button to wipe your iPhone and fix the black screen problem. If iTunes cannot recognize your iPhone stuck on black screen, you need put your iPhone in Recovery mode. 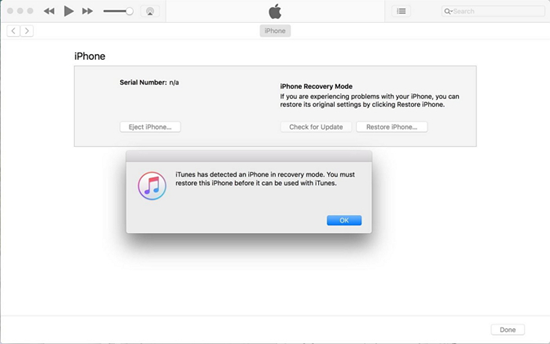 Once the iPhone is detected by the iTunes application, you will get an option of Restore iPhone. Click on “Restore” to confirm the restoring of your iPhone. Then iTunes will begin erasing your iPhone. During the process it will reinstall the current iOS software on your iPhone (which is iOS 12) to fix the black screen issue. Once the process finishes, your iPhone will restart. Proceed and now set it up as a new device. You must note that restoring with iTunes will erase all your current data on iPhone, so you better have backup for later date restoring, or you can use Jihosoft iPhone Data Recovery to save some precious data like contacts or messages first. So, these are the two solution to fix the Black Screen of Death on your iPhone. All the steps are quite easy and simple. If the above steps can’t help you, or you find out it’s the hardware that causes the problem, then you’d better ask Apple Support for help online or locally. Well, the Black Screen issue is very unpleasant and unwanted, but there are several ways to fix it as well. We hope that these ways have helped you to fix the Black screen issue. If you have any question or suggestion, welcome to share with us by commenting down.